Hands down for me the ebst food market in London!! Plus the added benefit of ebing 5 minutes from the Thames, Vinnopolis and many a pub!! All thats left is for the elft of London bridge to be reconstructed and gentrification to kick in! 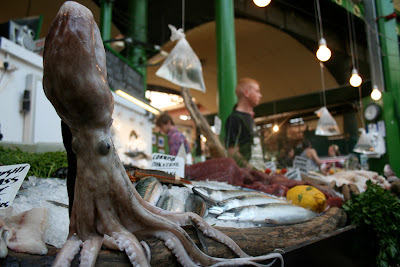 Eugh, is that an octopus or squid? Yes Catwalq, People eat both octopus and squid.